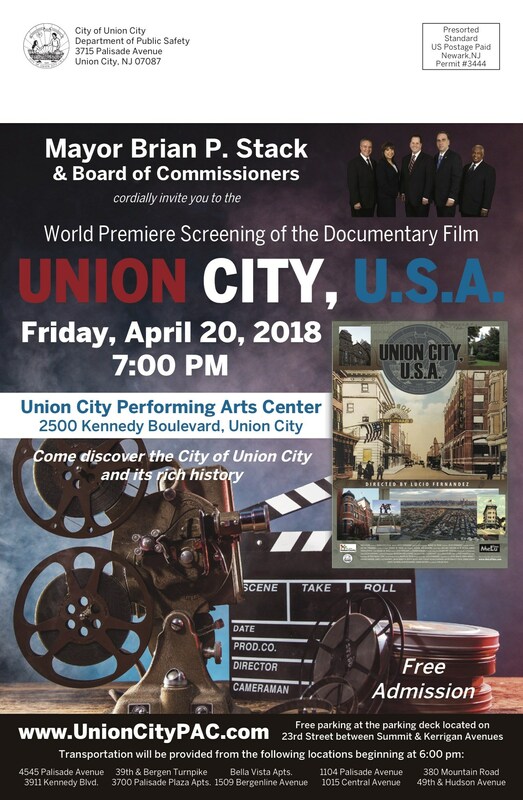 Mayor Brian P. Stack and the Board of Commissioners cordially invite you to the World Premiere Screening of the Documentary Film UNION CITY, USA on Friday, April 20th, 2018 at 7pm at the Union City Performing Arts Center, 2500 Kennedy Boulevard, Union City, NJ. 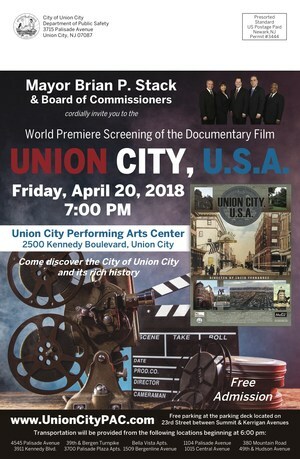 Come Discover the City of Union City and its rich history. Free parking at the parking deck located on 23rd Street between Summit & Kerrigan Avenue.